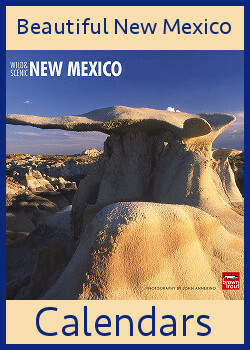 New Mexico Gifts & Calendars, Too! 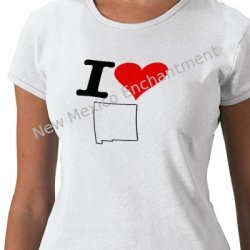 If you’re looking for gifts from New Mexico, you’ve come to the right place! 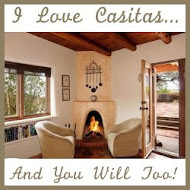 Our proprietary designs that really represent the Land of Enchantment. Whether you’re buying for a native New Mexican, someone who loves to visit NM, or even someone who has never had the chance to travel here but who loves the art and scenery, we’ve got the perfect gift! The most unique gifts from New Mexico are our New Mexico t-shirts. We have four designs available, and all are unique expressions of our state. We offer a variety of designs from humorous to heartfelt, so whoever you're buying for or whatever occasion you're buying for, you'll find the perfect gift. I highly recommend treating yourself to your favorite design- Why wait? 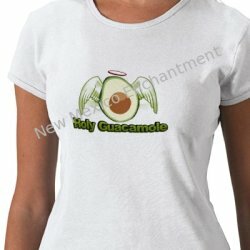 Click Here To See All Our "Holy Guacamole" Merchandise. 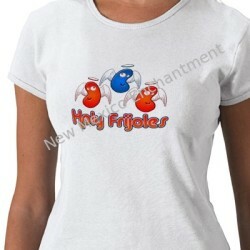 Click Here To See All Our "Holy Frijoles" Merchandise. 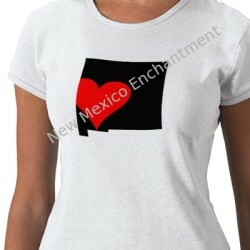 Click Here To See All Our "Heart Of New Mexico" Merchandise. 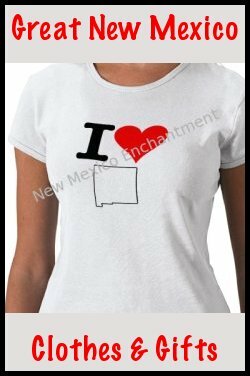 Click Here To See All Our "I Love New Mexico" Merchandise. 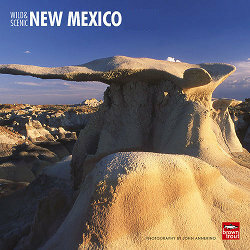 Maybe you want to buy calendars as your New Mexico gifts. No problem! We are proud to offer the best wall calendars on the market today. 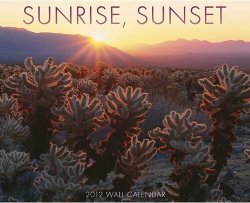 Our New Mexico calendars highlight the scenery, the beauty, and the art found in New Mexico. Take a walk through the state in pictures or through the artist’s eyes with these vibrant and beautiful New Mexico gifts. Click Here For NM Calendars. Click Here For Sunset Calendars. Saving You Time By Offering The Best Selection! Our gifts from New Mexico are designed to make your life easier; perfectly tailored gifts that represent the Land of Enchantment. All you have to do is point, click, and be modest when they’re thanking you for the amazing gift.